Foto de stock - Old brown work boots. 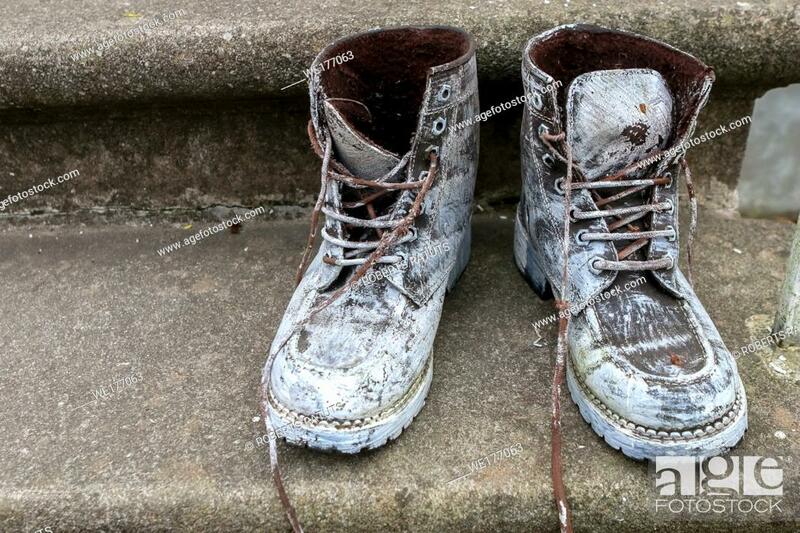 Boots smeared with white paint. Dirty boots on the stairs. Dirty old workboots on stairs.